The Ruger American Pistol combines a recoil-reducing barrel cam with a low mass slide, low center of gravity and a low bore axis. 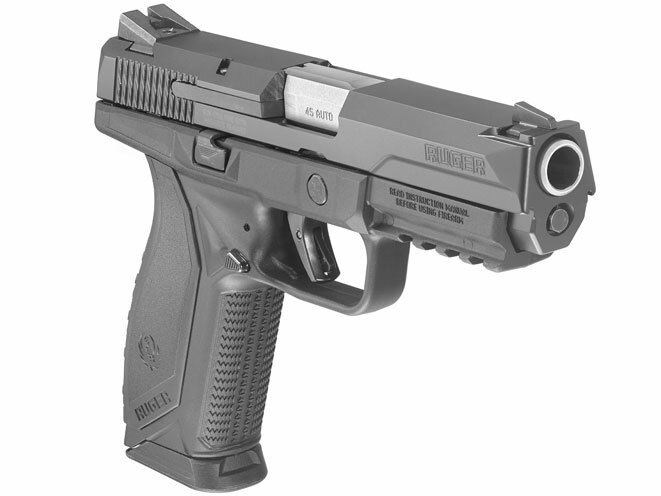 Sturm, Ruger & Company, Inc. (NYSE: RGR) is proud to introduce a new line of full-size duty pistols. 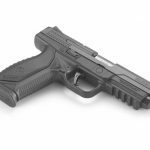 Designed with the latest U.S. Military standards in mind, the Ruger American Pistol is built to perform in the harshest conditions. 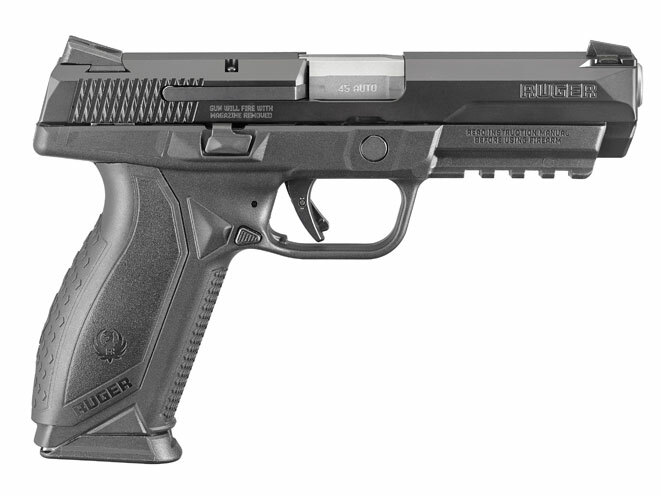 A true American innovation, this new pistol is a revolutionary platform for Ruger. Ruger polled law enforcement and military trainers throughout the country to determine the form, function and features of this firearm. The resultant new pistol combines a recoil-reducing barrel cam (which better spreads recoil over time) with a low mass slide, low center of gravity and a low bore axis to provide better balance, less felt recoil and less muzzle flip than comparable pistols. The Ruger American Pistol also features a pre-tensioned striker system, which allows for a short takeup trigger with positive reset, and a modular wrap-around grip system that adjusts palm swell and trigger reach to fit a wide range of hand sizes. 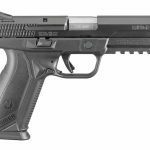 “The Ruger American Pistol is the most advanced semi-auto pistol we have ever produced,” noted Ruger CEO Mike Fifer. “Rugged, reliable, and a great value in the finest Ruger tradition, the Ruger American Pistol is ready for duty anywhere in the world. 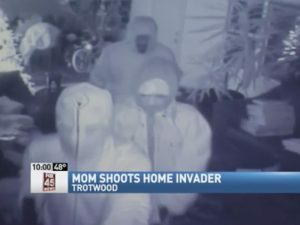 Our customers deserve the opportunity to ensure their security with such a well-engineered pistol from an American company they can trust – Ruger,” he concluded. Every Ruger American Pistol is built on a rigid, one-piece, precision-machined, black nitrided, stainless steel chassis with integral frame rails and fire control housing. Additional features include genuine Novak® LoMount Carry three-dot sights, a stainless steel slide with non-reflective, black nitride finish, a one-piece, high-performance, glass-filled nylon grip frame and a mil-standard 1913 accessory rail. 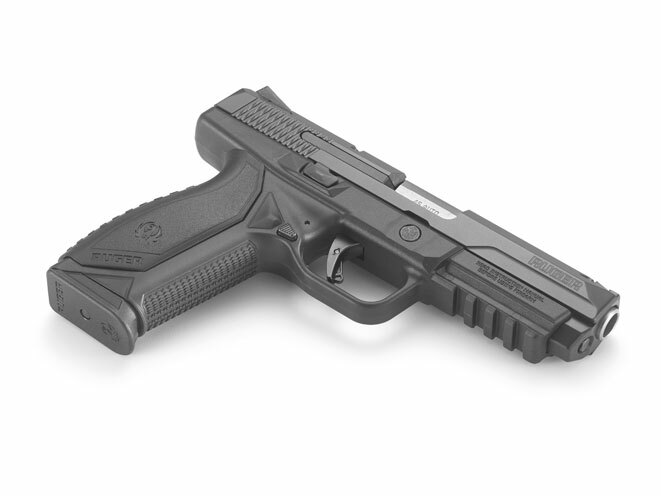 Available in 9mm Luger and .45 Auto, the 9mm weighs in at 30 ounces with a 4.20” barrel and the .45 weighs in at 31.5 ounces with a 4.50” barrel. Both ship in a hard case with replaceable grip modules and two, nickel-Teflon® plated steel magazines (17-round for 9mm and 10-round for .45 Auto; 10-round magazines are also available for the 9mm where required). For more information on the Ruger American Pistol or to learn more about the extensive line of award-winning Ruger® firearms, visit Ruger.com or Facebook.com/Ruger. 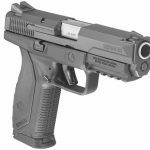 A full line of duty and concealment holsters, replacement sights and rail-mount accessories for the Ruger American Pistol are available through ShopRuger.com or your local independent retailer of Ruger firearms.